It’s gotten better, but it’s still not good enough. A bill to establish statewide rules for “transportation network companies” like Uber and Lyft has been tweaked to address some concerns that its background check requirements weren’t stringent enough. That change – which would allow cities to require that drivers be fingerprinted as part of such a check – was enough for the bill win passage out of the House Transportation Committee with a 10-2 vote on Wednesday. The revised bill still isn’t likely to win over cities like Dallas, which would still see their recently crafted vehicle-for-hire regulations essentially wiped out. And with just 40 days left in the session, the legislation still has a long road ahead to become law. But the bill’s author, Rep. Chris Paddie, R-Marshall, said he was optimistic. “We’ve eliminated the vast majority of concerns,” said Paddie, who added that Uber and Lyft remain on board with the legislation. 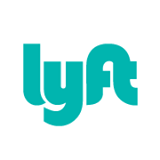 The legislation would create statewide rules for companies like Uber and Lyft on issues ranging from vehicle standards to insurance requirements to permitting. The Department of Motor Vehicles would administer the rules, which wouldn’t apply to cabs and limos. A sticking point in the Legislature has been driver fingerprinting – which isn’t required in Dallas, but is in other cities. And Paddie’s latest amendment to his bill could perhaps allay the worries of some lawmakers and cities who wanted that flexibility. See here and here for the background. The Chron explains why cities are still opposed to HB2440. 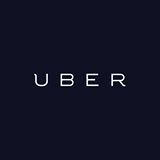 The original bill would have pre-empted local ordinances in favor of statewide regulation, eliminating the ability of a city to regulate background checks for Uber drivers. State Rep. Chris Paddie, R-Marshall, who authored the bill, said it will allow cities across the state to enforce local ordinances requiring fingerprint background checks for drivers, a major sticking point for local authorities. He said that change will happen on the House floor because a reworked version introduced Wednesday had a “drafting problem” that muddled the language on local control of background checks. “That will give the authority to the cities that if they chose to require more in that they want to require fingerprints, as Houston does, with this change they will be able to do that,” he said. Uber has vigorously fought against attempts to require its drivers to be subjected to fingerprint-based background checks. Paddie said Uber and Lfyt have agreed to changes giving cities the ability to write and enforce rules for background checks. New language inserted into the bill also allows cities to require Uber and similar companies that link riders and drivers by smartphone to access a state criminal fingerprinting database, potentially key to help win support from skeptical lawmakers. Paddie, however, said he planned to replace that section of the bill with new language making clear that his bill does not pre-empt cities from requiring fingerprint-based checks. The bill passed the transportation committee 10-2, with Democratic Reps. Yvonne Davis of Dallas and Celia Israel of Austin opposed. Davis questioned if allowing cities to set their own ordinances for background checks would keep in place a “mish-mash” of local regulations that the bill originally sought to undo. “There’s still potential for a mish-mash,” Paddie said, highlighting that standards for fees and insurance would still be regulated statewide. That assurance, however, doesn’t go nearly far enough and is “useless” in assuring drivers are properly screened, said Lara Cottingham, deputy assistant director in the city’s Regulatory Affairs Department. Conducting background checks and accessing the clearinghouse are very different things. The clearinghouse is a database of fingerprints collected by various municipal and state agencies. Honestly, this sounds a lot better, and I’m glad to hear Rep. Paddie talk about working with the cities on this, but the devil remains in the details, especially given that the bill is not yet a finished product. As we know, the experience in Houston has shown that anything less than full fingerprinting is insufficient. The “mish-mash” of not overriding stricter city ordinances on background checks is a feature, not a bug. If that stays in place, I think I’ll be all right with this. Let’s keep an eye on this as it progresses to the House floor, and do feel free to contact your State Rep and let him or her know how you feel about it. And of course – broken record alert – it would be nice to know how the Mayoral candidates feel about it, too. At least with Rep. Sylvester Turner, if it does go to a vote in the House we’ll have his opinion on the record. The rest of them will have to tell us on their own.